Just In: Coastal Scents Revealed 2 Palette! I got this palette for $19.95 at CoastalScents.com. There are 20 shades, and they're a variety of matte & shimmer finishes. The top row is loaded with soft pinks and rose golds, and the bottom row has deeper berry tones. When I get a new palette- I must get my hands in it!! Here are swatches of all the shades with no primer underneath. This isn't an actual "review" of the palette (it's only my first day playing with it! ), but the textures of these shadows seem really rich and I see lots of potentially awesome color combinations. It was great to see my parents over the weekend! My mom helped me with some flower planting outside, as well as a couple of arrangements inside. She's got a great eye for that kind of thing, and hopefully I benefit from her green thumb, too. It was sunny & hot all weekend long... great pool weather! New 28 week pregnancy vlog coming soon! I am in love with the light fixture in my makeup room. that looks like a fab palette. Love the shades. So wonderful! The pallet looks great! I love tht new light of yours too! So happy someone who knows you is getting the pink room! I have been waiting for this post. I would definitely be interested in seeing a tutorial on this palette. I've been awaiting this post as well :). Your review on the original Revealed completely sold me on it, and I haven't regretted it. I got my Revealed 2 maybe a week and a half ago??? Right when it came out, they were offering it for HALF PRICE, so I got that bad boy for $10, plus shipping, woot! I've been wearing it every day. It's so darn pretty, for every day and dramatic looks. I'm totally in love with this one, just as I am with the first Revealed palette. Bring on the full review, dear! Please do a full review with dupes and also maybe a few different looks. It would be great to see maybe office, daytime and nighttime looks or something along those lines. You always do the best reviews! 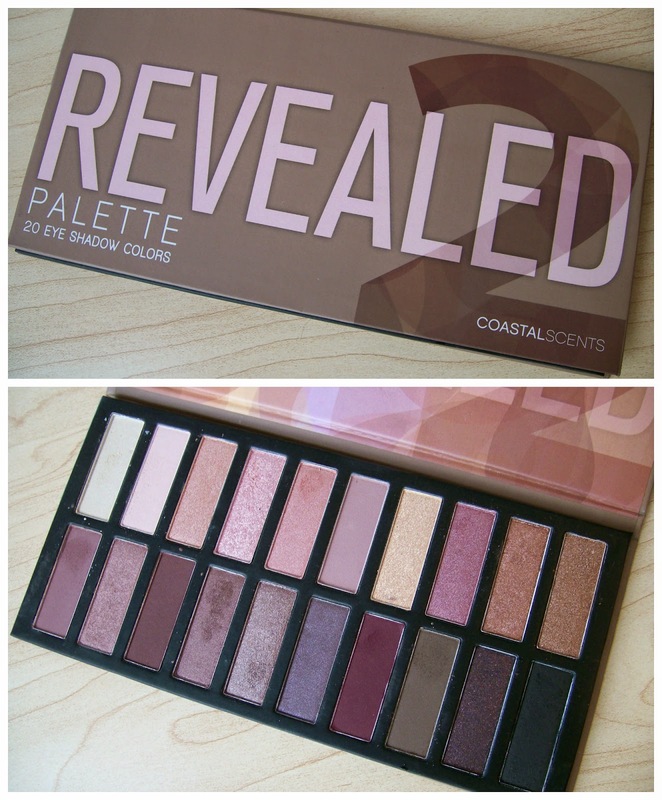 I just may have to investigate these Coastal Scents pallet's- this one especially! 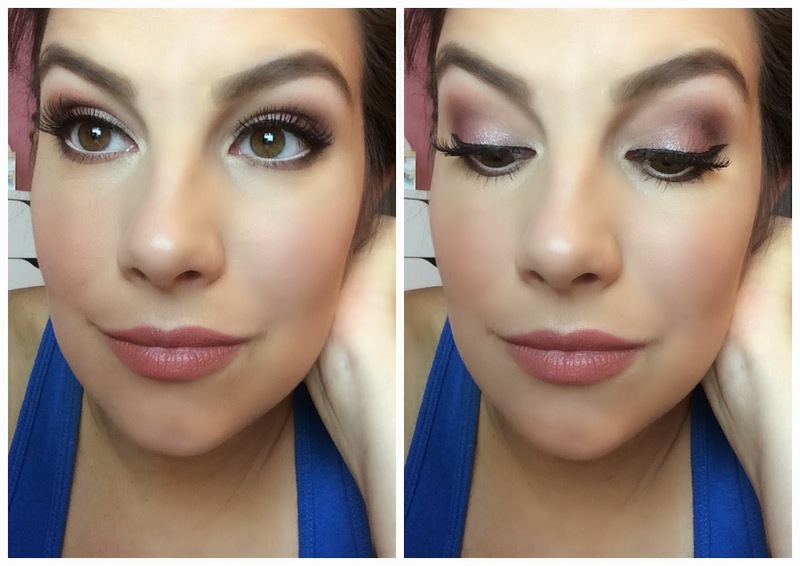 I would love to see some tutorials for both every day and dramatic looks. So happy that you are getting settled and doing some blogging- I missed that! Thanks for the review; I look forward to some video tutorials soon. Are these all new shades or are they in the 252 or other large palettes? My daughter is getting into makeup and I want to get her something that is decent quality at a good price. These colors are so pretty, would love for them to be found in the big ones so I could get her more variety. The lamp reminds me of nail tips! I think I posted that on Twitter. Good luck in your new home. Oh god, I want THIS palette SO MUCH !!!! Can you do a video of your favorite cosmetics names? This palette looks great, but for me, I'll pass. I don't see anything terribly original about the shades to warrant the purchase. woohoo!!! Ordered this with birchbox points last night! 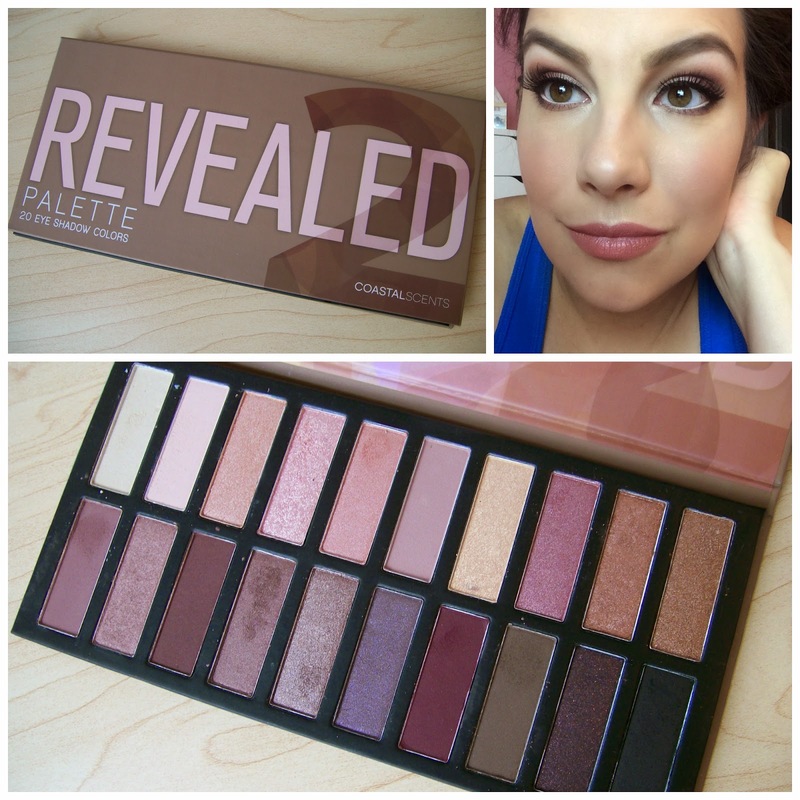 I am so excited because I love the first palette and despite the hype, when I actually looked at the naked palettes in store, the individual eyeshadow colors and finishes never really appealed to me. I also have the coastal scents 252 palette and I have no complaints. Phenomenal quality across the board, just not very travel friendly of course. I've never purchased Coastal Scents, although drugstore brands are my favorites. I followed your link to the first Revealed pallet, and that looks like something I'd like. Definitely going to have to try out this brand! I'm happy the pink room went to someone who seems to appreciate it! Haha! I have both and love them. I don't miss the glitter either. Being 47 means I don't want it settling where it shouldn't. I can't wait to play in these. What foundation are you wearing. Your skin looks flawless. You've got that pregnant glow as well. Woah! Tbh i only know coastal scents for their 88 palettes, I didn't know they do dupes of the naked palettes. These colours look so girly and pretty +.+ I really love how you mixed them togethed created a romantic look. I'm so tempted to buy this now! Could you do a comparison post with the LORAC Unzipped palette as well? :) I love this look on you, Emily! I love this palette! I've used it almost every day since I got it weeks ago when they first offered it for $9.95. I'm loving how blendable the shadows are. As I was using it today I was wondering whether you had it yet or not. I'd love to see some tutorials with this palette. Your skin looks perfect in these pics. Are you doing something different with your skin care or could it be prenatal vitamins? I could tell a difference with my skin/hair when I took them many years ago when I was pregnant with my son. I love your light fixture too. Glad you closed on your old house. I would love to see a tutorial on some looks from this palet. I have played with it and find it is easy to get too rosy and almost look like I have been crying....your ideas would he helpful!! Your skin looks amazing!!! Flawless!! I can't wait to try this palette. I've never tried anything from Coastal Scents, so I must give it a try. Thanks for sharing! Looking at celebrity culture only as something negative misses much of its significance. There's definitely something hot about celebrities. I bought this palette when it first released at $9.95 and so glad I did! Would love to see a tutorial on these from you! That palette looks beautiful.... but I'm on a "makeup no buy" :( Definitely going on my wishlist! Beautiful looks as always! Great palette. I think I need to buy it after this post :D. Love you Emily, you´re such a nice person and your blog is AWESOME. Such as your vids, I watch them all :). So pretty! I've been following your blog and YouTube channel for a few years now and the above picture has me questioning something and please don't take this the wrong way. Either you've got your skin/makeup absolutely flawless or photoshop was involved. Just curious. Keep up with the great work and congrats on the baby and new house, so many exciting things to come! the pink shades are just perfect! OOOOH. I want! I have the Naked 3 but this looks like I would actually like it more, as I wasn't too impressed with the Naked 3 and this has more colour options. OMG lovely eye make up !!!! Love the palette and a cheaper version that urban decay aswell! Did you buy it from Amazon? Were you going to do a dupe comparison? I know you have a lot on your plate right now but it wld be very awesome to see the dupes you can find. Like to find a date with Tinder for PC, after tinderapptips available on mobile phones, it's available. Various abilities at various degrees. That's a truly amazing function. sumdog signin just how you enhance with time. The video games. you will certainly not access the features you have otherwise accessibility through the Android application. Official Website integral component of our life Snapchat facilitates us with its range of unique functions.